Longs Peak is located west of Longmont Colorado in Rocky Mountain National Park. At 14,255 feet it is one of the most popular peaks for hikers and mountain climbers. It is also known for being the northern most peak over 14,000 feet in Colorado’s beautiful Rocky Mountains. This photo captures the “essence of the moment” as the sun’s morning rays illuminated the twin peaks. 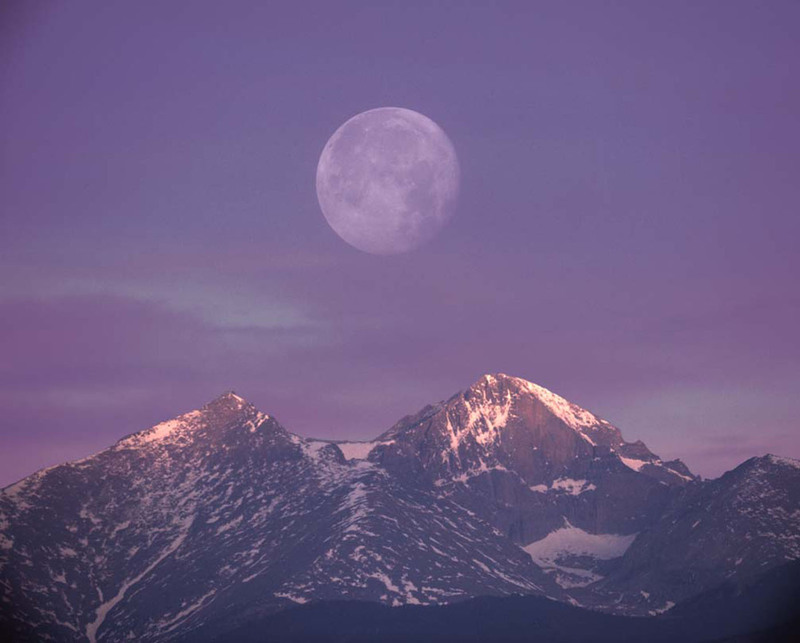 As many people who live in the Front Range already know, the full moon setting over the Rockies can create one of the most spectacular views in the morning. This photograph was taken near Berthoud Elementary School.